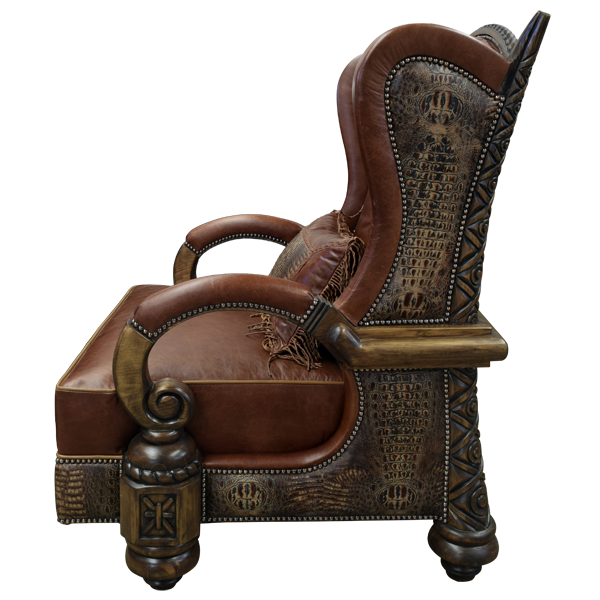 Add charm to your living room by including in its décor this creatively designed, beautifully built, handcrafted chair. 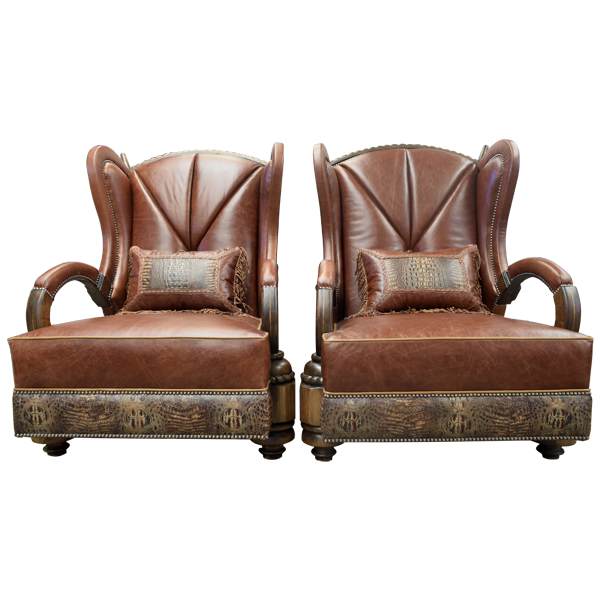 The reverse seat back, the lower sides, and the lower front of the chair are upholstered with simulated crocodile, embossed full grain leather. 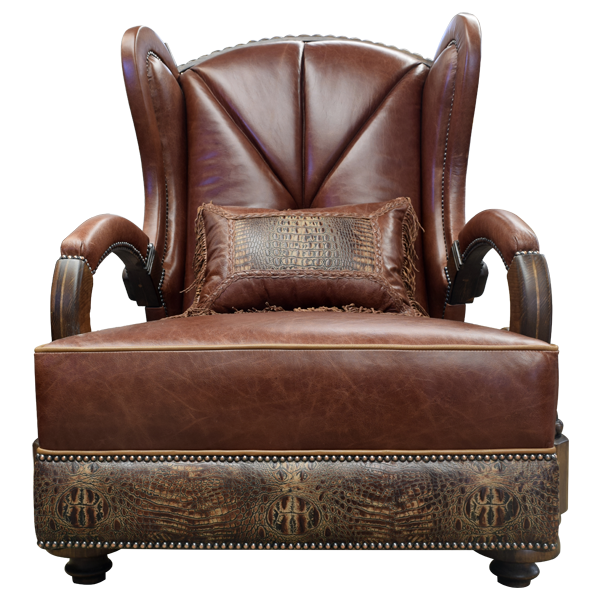 The padded seat, part of the armrest, and the inside seat back of the custom chair are upholstered with rich, brown full grain leather. The inside seat back has a central, button tuft design. The upholstery is precision hand tacked to the wood frame by our skilled craftsmen. The seat back has a classic wingback design. 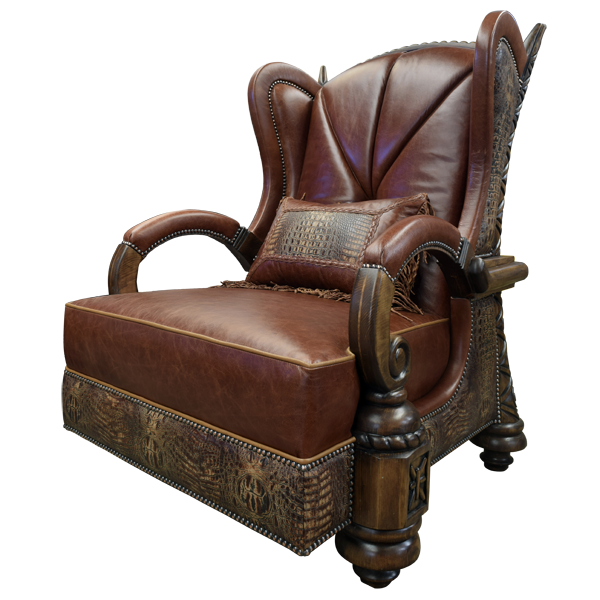 The armrest are beautifully curved, and end in a hand carved scroll design. 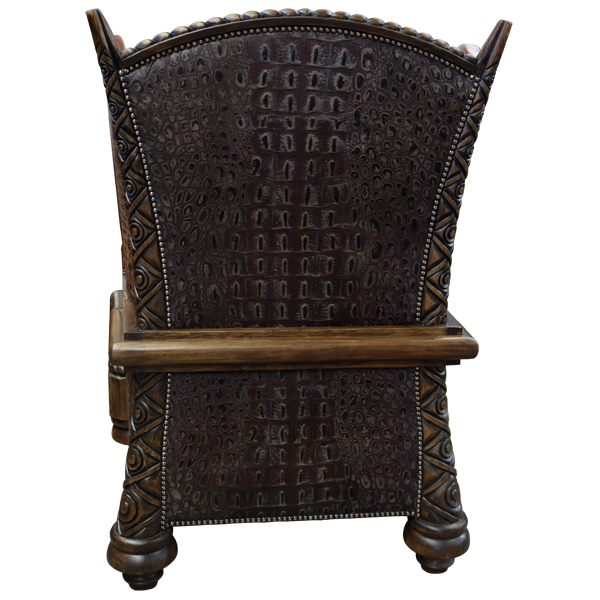 The chair rest on solid wood, hand turned bun feet, and the front feet are exquisitely hand carved with floral and rope twist designs. 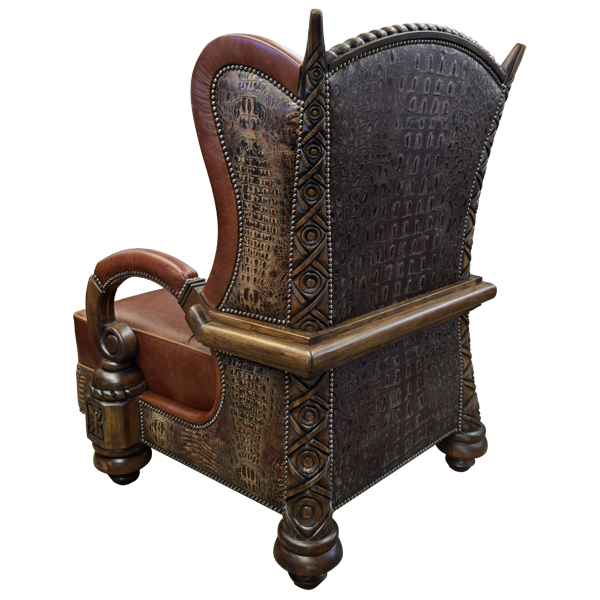 Each of the ornate, hand carved, back legs are representations of an elephant’s tusk and extend from the floor to the top of the chair. Both beautiful and durable, this chair is made with the best, sustainable wood available. Upon request, we can make a corresponding pillow that incorporates many of the same features as the chair. The chair is 100% customizable.